One of the Four Legendary Creatures, Japanese dragons guard the cosmic direction of the East. They are different from Chinese dragons but still have applications in feng shui. In feng shui, Japanese dragons represent strength, power, and protection. They are often used as a powerful feng shui cure. Dragons are symbols of yang energy, the strong masculine energy of activity and creativity. A feng shui dragon symbolizes prosperity and success. When it holds a crystal or pearl in its claw, the dragon is an auspicious symbol of power, wealth and prosperity. Tips for using Japanese dragons in feng shui are similar to Chinese dragons. You can use most Japanese dragons in feng shui the same way with three exceptions. 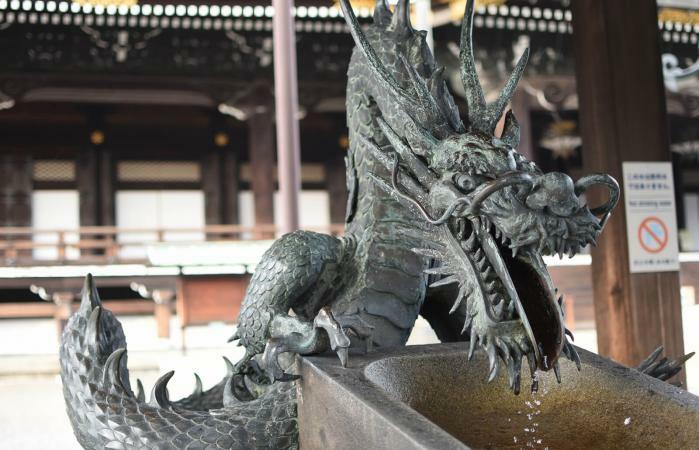 Unlike the benevolent Chinese dragons, there are three evil Japanese dragons you should avoid. These include, Uwibami, Yama-no-orochi and Yofune-nahsi. You can select a Japanese dragon made of wood or ceramic to place in your home or office. A crystal dragon is also auspicious. Place a dragon behind your desk for protection so he can watch your back. For the bet placement, the dragon should be just below eye level so you always see it to maintain control over its powerful properties. Never set the dragon the floor since this is a sign of disrespect and you don't want to offend the dragon! The east sector is the traditional location for dragons. Place a Japanese dragon in this sector or the east corner of a home or business office. If you select a Japanese dragon holding a pearl, position it to face into the room, never pointing toward a door or window since the pearl represents wealth, abundance and power. You don't want all that walking out the door. Limit the number of dragons in your home to five. More than this will create inauspicious energy from too much yang (fire) energy. Dragon heads should always be uplifted for auspicious chi, never looking or pointed downward. Since dragons represent the East, an ideal placement of a feng shui dragon is on the east side of your home or east sector of a room. However, dragons should not be placed in bedrooms, bathrooms, or closets since they symbolize activity and will draw too much energy flow to these areas. If they are placed in the relationship area of the home or space, a dragon should always be paired with a phoenix to ensure happy love relationships. In ancient times, the dragon was one of the Four Legendary Creatures that carefully guarded the four compass directions. While the dragon guarded the East, the other three Legendary Creatures stood guard at their cosmic directions. In feng shui applications, you can use all four or use the dragon by itself. Over the centuries, the Four Legendary Creatures of Japan have merged with the Shitenno, the Four Heavenly Kings. The Shitenno are Buddhist guardians that also guard the cosmic directions. Avoid inauspicious metal dragons for feng shui use since fire melts metal. Japanese dragons have similar features to Chinese dragons, but also some key differences. These differences aren't significant when it comes to using Japanese dragons in feng shui applications. The legendary dragons of Japan have a rich and significant history in the folklore and mythology of the country. This group of dragons is known as Tatsus and resembles Chinese dragons in many ways. One way to tell them apart by sight is by the number of claws or toes they have on each foot. The Imperial Chinese dragon has five toes. Common Chinese dragons have four toes. The dragons of Japan have three toes. 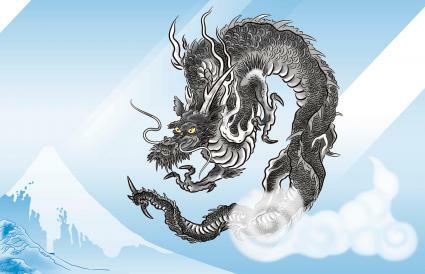 Just as the Chinese dragons, the mystical dragons of Japan have the power to shape-shift and move seamlessly from one form to another or become completely invisible. Many Japanese legends tell of dragons changing their size and shape as they magically transform into humans. Other legends tell of the reverse happening as humans transform back into dragons. It's believed that when dragons transformed into humans, they had the ability to mate with other humans, creating the Japanese Imperial family. The Japanese Imperial family claims to be direct decedents of the Dragon King through Princess Toyotama-hime, the Dragon King's daughter. According to the Tale of Hori, Princess Toyotama-hime, also known as Princess Fruit Jewel and Princess Rich Jewel, married Hori no Mikoto, a hunter. For three years, the couple lived together in the underwater kingdom of the Princess before the hunter returned to his life in the upper world. Although dragons appear in mythology centuries before the birth of Buddhism, Japanese dragons are known as the Protectors of Buddhist Law. The Japanese dragons are symbols of strength, prosperity, and royalty. Dragons represent yang energy and the Emperor. They are the mortal enemy of the Phoenix, which represents yin energy and the Empress. Yet, when they are placed together in feng shui applications, the dragon and the phoenix create the perfect balance, representing the harmony of yin and yang. As partners, the two symbolize wedded bliss and conflict. It is the Japanese dragon that maintains and supports the country as it controls the rain, symbolizing the power of the Emperor. Four dragon kings rule the four seas. Dragon spirits control the rain and wind, and can even cause floods to occur. Earth dragons deepen the oceans and cleanse the waters of lakes and rivers. Celestial dragons guard the home of the gods. You can use one to guard your home by placing it to stand guard at your front door. Treasure guarding dragons keep watch over precious stones and metals. Place one in the southeast (wealth) sector to protect your wealth. Japanese dragons have fascinated people for centuries, and they will likely continue to do so for ages to come. They occupy a powerful place in the Asian culture and, when used wisely, can enhance the good chi energy in your home.